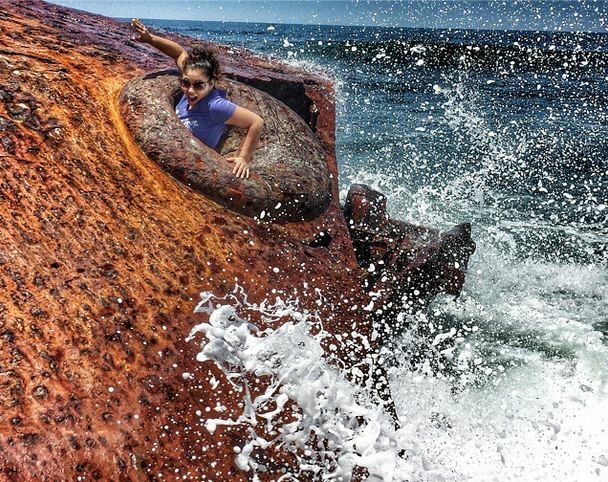 Did you know there’s short hiking trail right in our own backyard that leads down to a coastal shipwreck that’s been there for more than fifty years? 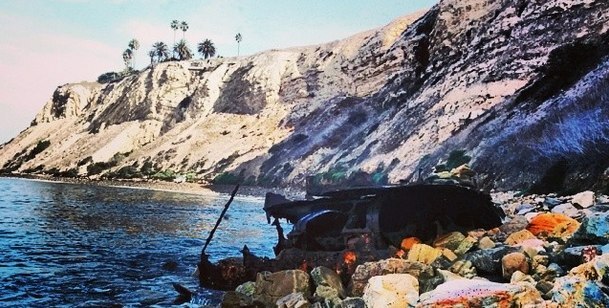 Today you can access what remains of the Dominator by heading down to the intersection of Paseo Del Mar and Flat Rock Point in Palos Verdes. 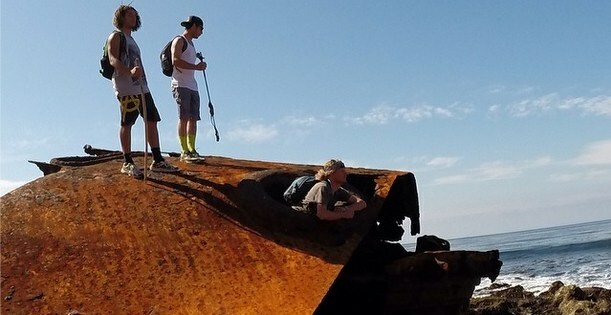 You can descend to the shoreline via a couple different access points, and once you arrive at the wreckage you’ll be treated to beautiful coastal views, tide pools, and rock formations, along of course the the scraps of the rustic relic itself. Of course before you head down, there are just a few things you should know. – This is an EXTREMELY rocky path, and though the distance covered to get there and back is not far, the terrain is uneven and can be a bit challenging at times. – Did we mention it was rocky? Wear appropriate footwear! – There are multiple access points, so with shorter routes than others. A couple of the paths are detailed below. – Because of the terrain, please don’t bring your dogs. – Just to modulate some expectations, there have been some complaints by the more faint hearted about the smell on the trail. Folks have reported seeing dead birds (even seals at times? ), and there is a healthy supply of flies buzzing around kelp that has washed up to the rocks. Caveat emptor peeps. – A lot of helpful Yelp reviews on this spot if you want to do some further research before you check it out. There are two main options for accessing the shore to get to the wreckage. The easiest trail follows a pipe at a relatively stable decline down to the shore. You can park at the northern end of Paseo Del Mar and walk south along the street to access the pipe trail. For a more challenging hike, you can start further up the coast near flat rock point. There is also more parking closer to this access point. Whatever route you choose, bring your camera, and enjoy the hike!